We created the the Mazeoke website. The design of this site is mainly white with red as an accent color. 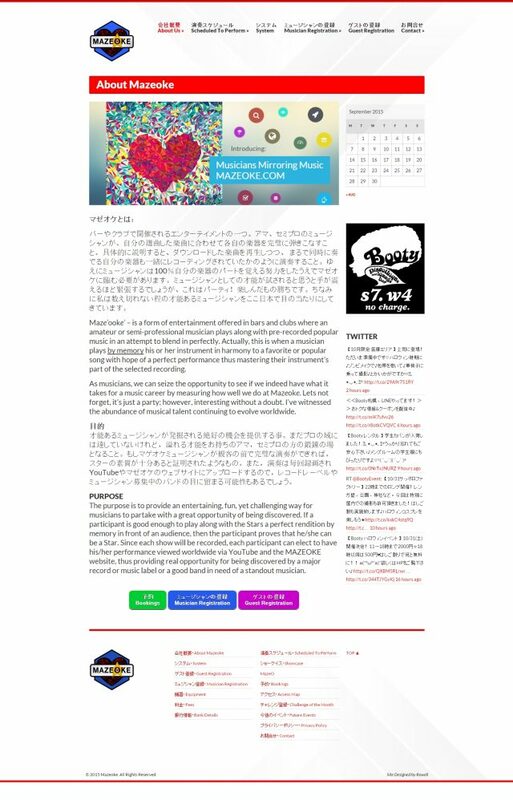 The final version of the site was separated into a Japanese and English site. Mazeoke is a music event company. It’s a spin off on karaoke where musicians instead of singing play musical instruments along to famous songs.